In Part 1 of this look back at my video series, I focused on the build-up to its creation as well as the fast-paced, relatively brief process of putting together the first part. This entry examines the much longer period spent on the subsequent three parts, concluding with the presentation of the complete Journey Through Twin Peaks at this time three years ago on February 4. Part 3 will eventually chronicle the creation of new Journey chapters focused on The Return, which have yet to be produced but will hopefully be available this summer. On the morning of October 3, 2014 less than twenty-four hours after I'd put the finishing touches on the first part of Journey Through Twin Peaks, the entire context of Twin Peaks - and with it, my little video project - was forever altered. 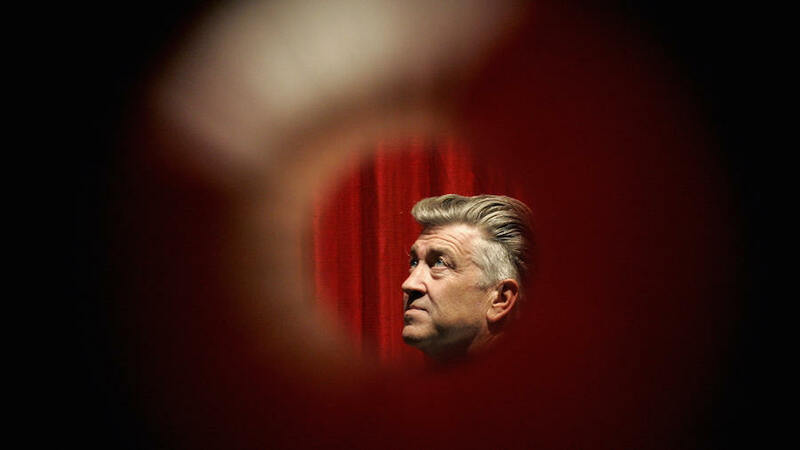 David Lynch's and Mark Frost's simultaneous Twitter teases would be revealed within days as what many suspected: Twin Peaks' return to television as a limited series on Showtime in 2016. This was a cosmic coincidence for my purposes; not only had I just launched what would become my most ambitious online work just as it became newly relevant, but this same week I'd announced that I'd be devoting the following six weeks exclusively to Twin Peaks, including perhaps the longest interviews ever conducted with John Thorne, publisher of the legendary fanzine Wrapped in Plastic. We'd spoken during the summer, and at one point we mused about the future of this world we were both falling back in to. (John, whose involvement with the work had obviously been far more extensive than my own, hadn't written or engaged with Peaks much at all in the previous decade; the magazine's last issue had been 2005 and its co-founder, Craig Miller, had passed away a few years later.) As exciting as The Missing Pieces was for Peaks fans that had been starved for new content since the early nineties, John noted that this was all a bit of tempest in a teacup - or, perhaps, a coffee cup. John's friend had attended the red-carpet premiere for The Missing Pieces in Los Angeles and observed (in John's paraphrase) "it was the same types of people who are at every Lynch event, it was a fairly small venue. From the outside, it has this glamour to it like it was a big event, and Twin Peaks was in the air. But in fact it was a small event magnified by social media and the internet." John himself added, "I’m glad it’s still there and I’m glad it’s getting press coverage but there’s a small core devoted." We both reflected that the old Lynch - the one who savvily played the "Czar of Bizarre" for mainstream media in the early nineties - would have capitalized on this momentum rather than calmly letting it pass. I remembered the odd buzz of the spring, when (twenty-fourth!) anniversary pieces were popping up left and right, Twin Peaks would randomly trend on Twitter, and the first announcement of the deleted scenes was made; I noted that if Lynch and Frost wanted to seize the moment with some sort of revival, this would have been the opportunity. But a couple months had passed since the blu-ray, Brad Dukes had already made the rounds to promote his oral history (the first of a tsunami of Peaks literature though at the time it seemed an unprecedented one-off), and if there was any chance of Twin Peaks re-emerging in the broader public consciousness, it was rapidly fading. And then, of course, the news. By the time that particular interview went up, I'd already conducted another with John to wrestle with this unexpected windfall. Those Wrapped in Plastic interviews were published three weeks in a row after the first part of Journey Through Twin Peaks; also in October I interviewed Martha Nochimson, author of The Passion of David Lynch and David Lynch Swerves, and continued a deep dive into the archives of the Twin Peaks Usenet forms (alt.tv.twin-peaks) where early internet adopters discussed the series in the early nineties. 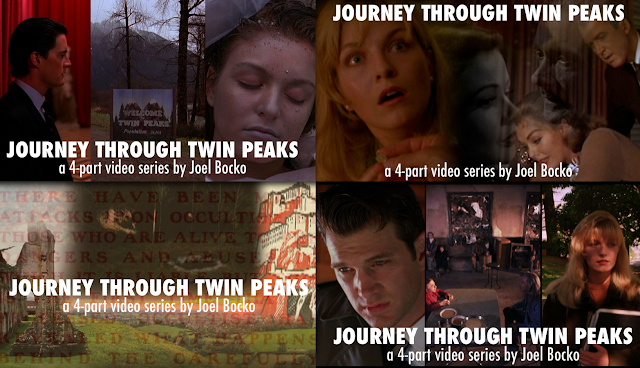 After all, the Journey videos were only supposed to be one part of my now expanded "Twelve Weeks of Twin Peaks," a central feature perhaps but not the only show in town. And while the blog content was exclusively Peaksian, I still found room for non-Peaks endeavors elsewhere - for example, tweeting my "alternate Oscar" picks, a new year every day, throughout the fall. By early December, however, the video series had taken over the weekly Peaks posts altogether; by the end of the month, when a much-delayed Part 3 finally premiered, I had dropped the "Twelve Weeks" limitation entirely and was dedicated to publishing about Twin Peaks as long as it took to finish this project, and as the new year dawned my Twin Peaks immersion became exclusive and all-encompassing, not just yielding by far my most popular work but changing me in the process. This is the story of how I created parts 2 - 4 of Journey Through Twin Peaks, and what that experience meant to me. The announcement of season 3 put me in a new conundrum. The impetus of Journey Through Twin Peaks was the desire to demonstrate that the existing material actually told a complete, if messy, story. The news that more was coming indicated that even the creators didn't view it this way. Nonetheless, I found myself drawn even more to this conclusion as I continued to work on the project. I had, to quote Bob, the fury of my own momentum and the conception of Twin Peaks as a holistic work of art which I had developed over six months stayed with me despite its newly open-ended nature. In fact as I drew closer to my conclusion, a whole new dimension of Fire Walk With Me in particular would open up for me, so that I no longer saw it merely as the necessarily sobering culmination of the saga but a transcendent opening into another, deeper realm of reality...the sacred mystery at the heart of Twin Peaks rather than (just) the dark trauma. I had outlined the entire series when I began, although later parts were a bit more vague than earlier ones (I had no idea that the focus on Fire Walk With Me would be the longest stretch of the 4-part series; indeed, I assumed it would be the shortest, maybe twenty minutes rather than nearly an hour and a half as it turned out). So I knew going in the rough shape of what I wanted. Nonetheless my purposes would subtly shift as I worked with the material, and the style would evolve as well, growing more complex and utilizing more tools after a relatively simple beginning. The process was already going in a new direction as I initiated Part 2 in early October. Necessarily so, because Twin Peaks itself evolved in the process of creation and if I was documenting that approach in chronological fashion, I would have to adapt alongside it. For every new part of Journey Through Twin Peaks I would take another look at the full outline I had drawn (about a page per part) and start scripting the narration. I would divide this narration into chunks and then follow with a list of clips that could illustrate this section. Around this time, I wrote out a full outline of season 2 (also breaking it down into separate lists of scenes per subplot and character - the very first seeds of my eventual character series as well). This allowed me to easily navigate to the episodes I needed, burning just that section of the disc and making the select clips. My computer could not hold all the episodes at once so I had to be judicious - I recall skating extremely close to the limit on several occasions, just barely able to produce what I needed without running out of space. I edited the opening and closing credits of Part 2 first, playing with the split image of Part 1 (Cooper/town sign/Laura) by drawing Laura into the center of the triptych, and then fading her image away - illustrating the title of this part, "The Center Cannot Hold" (from the W.B. Yeats poem The Second Coming) and, of course, the central concept of these chapters: that Laura was becoming even more important to Twin Peaks in early season 2, but that her gravitational force was so strong the show essentially had to make her disappear - and thus lose the glue that made the story work in the first place. The ceiling fan also became a visual and aural motif here, emphasizing the centrality of Laura's trauma - domestic sexual abuse - in destabilizing the narrative that it made possible in the first place. 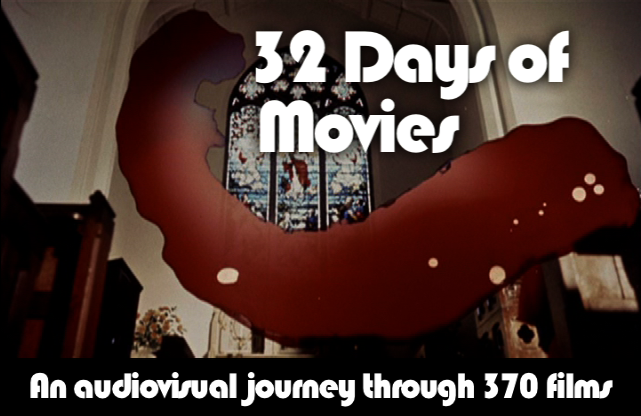 Only halfway through the month would I really be able to focus on Part 2 (before that, I was prioritizing the John Thorne interviews). I finally edited the picnic video montage, scored to "Mysteries of Love," which had been one of the three central visual ideas that drew me to the project in the first place. Part 1 had been cut pretty much in order, but I found myself prioritizing the most important segments of Part 2 rather than moving through it chronologically. After the "Mysteries of Love" montage I created the rest of the "Who is Laura Palmer?" chapter, including the Vertigo & Laura comparisons. I had to figure out how to illustrate the Lynch/Frost creative process in coming up with Laura, and decided to use a still photo of the duo, cutting in and out of close-ups, and overlaid with a variety of images - Marilyn Monroe and the Kennedys, various depictions of Laura's corpse - as well as musical cues from their individual works (Blue Velvet and Hill Street Blues). Additionally, I had to illustrate the passage about The Secret Diary of Laura Palmer, so I filmed the text myself, moving closer to the page while superimposing images of a cackling, roaring Bob. All of this was an exciting way to expand the narrate-and-illustrate approach that had dominated Part 1 and would continue to be the bread-and-butter of the series, albeit with increasing variation. In fact this whole opening chapter was something of a departure, focusing on a character/theme rather than a section of the show. This too would become increasingly common, although to an extent these detours were always planned. That said, the stylistic departures made it feel all the more like a sort of "reset" on the series; Part 1 had emphasized the show's hard-to-pin-down eclecticism while hinting that there was more of a core there than initially met the eye - Part 2 would hone in on that core. Finishing this opening, for the first time I skipped completely ahead several chapters. I had to deal with the killer's reveal before I went back and illustrated the broader expanse of season 2. For several days I labored on "Scene of the Crime," with particular attention paid to the opening montage. Having long ago settled on the Yeats quote as a title, it dawned on me that poem itself made a wonderful companion to the footage. I looked online for several versions and settled on a reading by Harold Pinter, whose gravelly voice worked perfectly alongside the images, words, and score. For the music - introduced by shots of the fan and record spinning endlessly - I slowed "Falling" down three times - I think once to about fifty percent, once to twenty-five, and once to ten (at which point it was little more than an ominous drone). I kept each version while bringing the other one in, so that in the end three versions were playing over each other. It worked beautifully, escalating as the images became more unfamiliar (drawing on Fire Walk With Me and The Missing Pieces, mostly unseen up to this point in the series - sticking to chronology in what I was allowed to draw upon made the rare exceptions that much more powerful) and more manipulated (with multiple dissolves and eventually an eerie, subtle superimposition, created when it dawned on me that the couch Laura received her father's phone call on was the same one Bob crawled over in the series). I was so pleased with the outcome of this work that I released the two-minute montage early, as a standalone clip on YouTube and a bit of a teaser for Part 2. For the rest of the reveal chapter, I needed to find a way to illustrate seven or eight minutes of analysis and observation while anchoring the visuals in about two minutes of footage. I found a pattern of repetition and variation of the mirror sequence that was able to underscore various points I was making, while shifting back to clips from the earlier season, to tie the build-up to the outcome. And I also relied on still images of Lynch's and Frost's other work - most notably from an uncanny episode of Hill Street Blues - before shifting into a static montage that preceded the climax of the chapter. 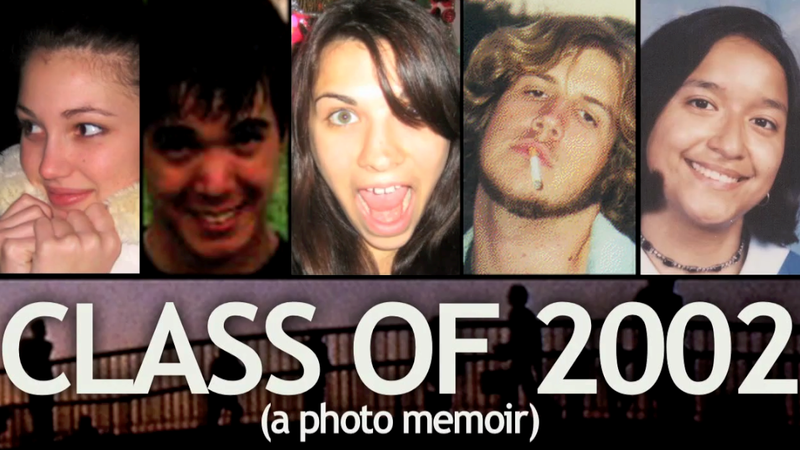 Several months earlier, I had created a non-narrated video essay with an unflinching stretch of footage from Maddy's murder - it seemed important to underscore that video's structure: from denial to horrible revelation, trauma at the hands of a stranger to trauma at the hands of a loved one. The lack of narration in that video also made it feel appropriate...here, however, I knew that I did not want to depict the murder directly. Because I'd already done so in a different video, because the combination with an omniscient voice offering critical commentary would conflict with the scene's primal power, and because the nature of this video series (especially as I conceived it at this point) was to summarize, analyze, and evoke a phenomenon, not attempt to duplicate it. My first Twin Peaks post of the year - my first in half a decade - had been a visual tribute to episode 14 and, driven by a similar impulse, I had interspersed a few images of Bob and Maddy with black frames. I did the same here, allowing the viewer's memory and imagination to summon up the horror. Several analyses I'd seen before had very casually inserted the murder scene under a calm narrator or interview subject (the making-of special on the Gold Box being one example), and it always struck me as being in poor taste, much as I liked those works otherwise. This felt like a good way to elide this problem. It also made a sharp contrast with the following passage, in which it felt necessary to immerse the viewer completely in a moment of the show, allowing several minutes in the Road House to play out, uninterrupted by cuts or narration. The two extremes of the video essay back-to-back: an appropriate way to approach a piece of television that thrived on its own aesthetic extremes. With this work done and the end of the month closing in, I finally wrote the rest of the narration for Part 2. After the intensity of those two standalone chapters, it was something of a relief to return to the more straightforward approach of illustrating guides to various chunks of the series, treating them almost like mini-shows within the larger narrative. However, it was also a struggle; I wrestled mightily with the "Episode 9-12" chapter in particular, paring it down from an unwieldy focus on various subplots and finally streamlining it into something that worked (despite still being the longest chapter so far). In a way it was fortunate that I couldn't cover as much as planned - this gave me more material for a later chapter that would hone in on each character in turn, and it also kept the focus on Laura throughout Part 2. I published "Part 2 - The Center Cannot Hold" just in time for the end of October, keeping to my idea (soon to be completely abandoned) of publishing a new video essay every month. Part 3, however, would provide challenges of its own, and would take two months to complete - a far cry from the handful of days in which I churned out Part 1. For one thing, the material was vast - I was no longer covering a relatively short first season or a small section of season 2, but an entire half of the TV series, drawing on nearly ten hours of material as well as two books, ephemera like media coverage and the character development of Cooper, and loads of additional material related to the development of the show's material. There were two key questions, almost at odd with one another: what to say about the episodes widely maligned and dismissed by even many ardent Twin Peaks fans (indeed, when I wrote my first episode guide, I skipped most of them completely), and what to show for all the non-episode material which was compelling but wasn't necessarily easy to illustrate. Ultimately, Part 3 would become my favorite so far (though Part 4 would surpass it), offering an immensely exciting sandbox to play on, honing my craft as a video essayist in ways that the previous parts had not. It also facilitated a release and change of pace. For all of 2014 - in some ways, for all the years I'd been a fan of the show - my focus on Twin Peaks had been the brooding Laura Palmer mystery and the distinctive style of David Lynch. But the back two-thirds of season two abandoned Laura completely and Lynch would direct nothing until the finale. This was an opportunity to define a Twin Peaks beyond Laura and Lynch, while still allowing their absence to anchor and shadow the material onhand. Fortunately, my work on Part 3 coincided with the conclusion of my months-long trek to the alt.tv.twin-peaks archives. Although I certainly couldn't read all the posts (I had to term-search "Twin Peaks" within the Google group or else it would take literally hours to scroll down to 1990), I had marked out hundreds to give myself a pretty representative tour. What I found was a group of fans who had no preconceived notions about where the show would go, but were simply along for the ride. I was able to see mid- and late season 2 through their eyes, and for the first time I could appreciate it as a slow boil, however frustrating (I had only ever watched it in quick succession, and even as my perverse fascination with it had grown, it felt completely overshadowed by what came before and after). By creating specific chapters on Cooper and the mythology, I was also able to appreciate how much work these episodes put in to developing those two areas which had just remained broad strokes in the most beloved segments of the series. Without the gruelling, often haphazard, labor of season 2, there could be no finale or Fire Walk With Me (let alone season 3). The whole aura of the second season with its strange tangents - the demented Windom Earle drama, left suggestively offscreen or on the page of Cooper's "autobiography"; the series' real-world hiatus with its COOP campaign and subsequent merchandise dump (board games, trading cards, spin-off books); the odd hodgepodge of Theosophic lore that found its way into patches of dialogue here and there - also provided delightful opportunity to discover hidden corners and crawl around them. This reinforced the notion of Twin Peaks as a vast, inviting world you could get lost inside. And I had a blast doing this: digging up photocopies of early nineties newspaper pages with jaunty columns on what was just another network TV show at the time; hunting down 1979 photographs of Pittsburgh (and 1967 photos of Philadelphia), where obscure side-tangents of the Cooper backstory unfolded; literally diving into the most minute textures of a Kandinsky painting to bring to life the abstractions of the Lodge lore (I think around this time I visited a museum exhibit that either inspired or reinforced this approach). It was all such fun, but also a great learning experience. As fantastic and pure as that fundamental video essay phenomenon was (combining personal observations with iconic images) there was also so much more that could be done. Or was there? I've been cheating a bit, leaping ahead. Most of this work was done in mid to late December for a few reasons. I was doing a lot of initial legwork in November, particularly researching Theosophy and finding texts relevant not just to season 2 but Fire Walk With Me (I practically did a back flip when I discovered that Alice Bailey juxtaposed the dweller on the threshold to...the angel of the presence). But I was also distracted by a legal dispute: as often happens, there had been a copyright claim on a couple of the videos and, after consulting with more experienced video essayists, I disputed the claim and awaited a simple resolution. Instead, I was contacted directly by a CBS lawyer, hoping to resolve the situation with a phone call. The resultant conversation, at least an hour or two in length, probably surprised both of us. I was relieved to find the attorney was quite diplomatic and considerate (although they were initially very emphatic about the need to remove the videos), and they were clearly surprised that I stubbornly stuck to my fair use argument while disputing the idea that this was simply a fan tribute or re-cap, holding firm on its scholarly basis as a serious study of the work and emphasizing Twin Peaks' social and artistic importance that made it worthy of such study in the first place. For a few weeks we remained at an impasse as other representatives were consulted, and eventually I was given a green light to go ahead . It was an immense relief but also an opportunity to reaffirm for myself how important this project was to me. It was not simply an enjoyable diversion or an aloof research project, but a deeply personal odyssey. 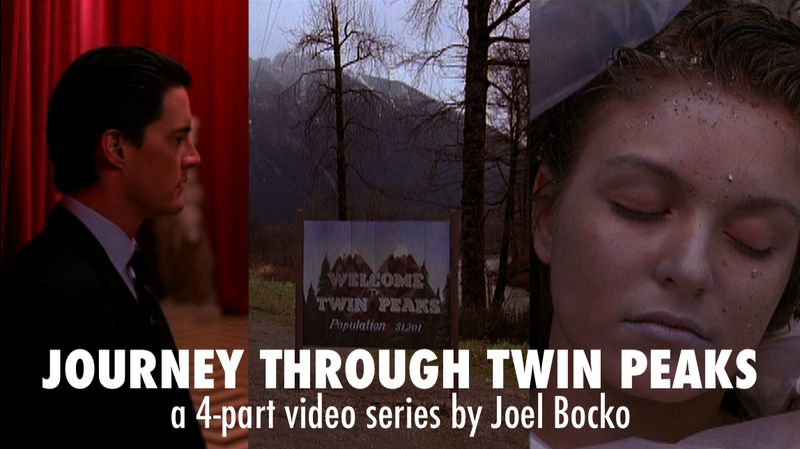 Having resolved the issue after a long pause (long past the initial deadline for Part 3), I began releasing Journey Through Twin Peaks in chapters rather than parts. This was a dramatic change from Parts 1 and 2 which were created more holistically and released all as one unit (indeed, for Part 1 the YouTube chapters were basically an afterthought). Meanwhile, the audience for the videos had slowly been growing, thanks especially to the /r/twinpeaks community which enthusiastically promoted and spread my work (I wasn't even aware of their existence before this and am not sure how they found me, but I was delighted to be found). Though it would be a while before the numbers really started chugging along - leading eventually to a couple hundred thousand views for the top video - there was active interest at this point. I was also receiving a lot of positive feedback from the dugpa forum community, where I had developed a lot of the ideas that would be featured in the series over the previous summer and fall. Throughout December, I kept dropping new chapters of the series. The mythology chapter - far longer than any previous entry and characterized by a gradually escalating, eventually wildly deviating visual texture - was a big hit. It also marked a point where I was moving beyond synthesizing broad points about the series and offering a few of my own observations here and there to actively pushing perspectives, theories, and context that I hadn't seen anywhere else (although conversations with Daniel Smith and visits to several "Twin Peaks & Theosophy" type websites gave me the initial push). In particular, I was able to structure the messy mythos of season two around three essential, albeit fleeting, ideas: dugpas, Lodges, and the dweller on the threshold. This played in to the consistent use of triumvirates throughout Journey and gave me a jumping-off point to explore various ideas. Finally, just before Christmas, I premiered the final chapter of Part 3, isolating and reflecting on Cooper's journey into the Black Lodge as I had for the killer's reveal sequence several months earlier. This climax provided as many unique challenges as anything from season 2, in this case because there was so much Lynch rather than so little. How to pay respect to his immensely inventive work in the finale without either simply reproducing it or getting too gimmicky? I came up with the idea of cutting to black between each clip I used, a method that both emphasized the original source material while also serving as a cool aesthetic gesture in its own right (those patches of black an alternative evocation of the Lodge's unknowable spirit). Immediately after uploading the chapter, I wondered if this had been too distracting a technique, but people seemed to like it and it grew on me. From an analytical standpoint, using the work of Martha Nochimson as a guide, while also remaining rooted in the points I had been building up for several chapters about Cooper and the mythology, I was also able to find a way into the abstraction of the Lodge sequence which drew out themes common to the series as a whole, emphasizing the meta-commentary of this return to familiar yet almost forgotten iconography (in a wildly new way), and preparing the way for the radical break of Fire Walk With Me. 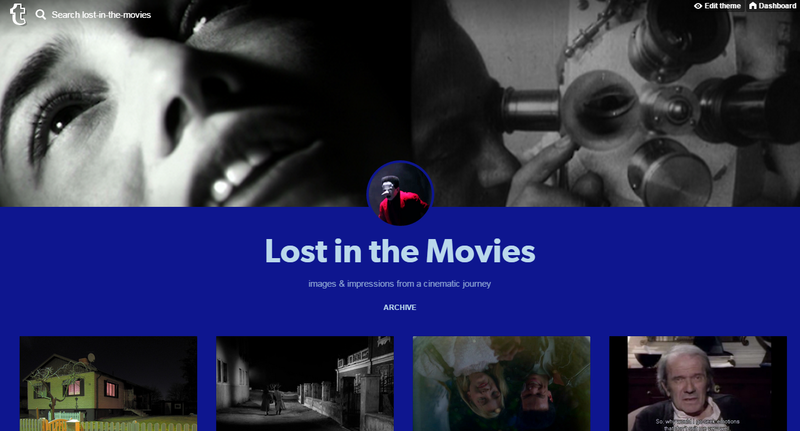 I relished creating the final minutes of Part 3; after so long away from the nexus of Lynch and Laura I was now plunging right back into that world. This was what I had been anticipating all along, and the journey made the destination that much more gratifying to reach. In fact I had already snuck in a bit of work on Part 4 earlier in the month. Re-reading Brad Dukes' oral history, I was struck by Sheryl Lee's statement about the sobering facts at the core of this otherwise playful narrative. I illustrated the quote with a horizontal split screen, the lush feast laid out at Leland's funeral on the top of the frame with the dirty floor of the Pink Room nightclub, strewn with bottles and cigarette butts below, two worlds bridged by Lee's words. I scored this to a crescendo in the theme of Fire Walk With Me - or, more specifically, a vocal version of that track that I had never known existed until a few months earlier, with lyrics that seemed astonishingly revelatory. The title of this version was "She Would Die for Love," which would become the title of the series' climactic chapter and, in some ways, the thesis for the entire four-hour analysis. I did some other preliminary work on this early chapter (including the selection of a clip from a Minneapolis PBS program that interviewed Frost and discussed the early second season with Ordinary People author Judith Guest). However, I was especially eager to create the next chapter, so for the first and only time I skipped ahead in publication. In the days leading up to New Year's Eve, I developed an idea that had occurred to me while writing the narration for Part 4, i.e. pretty late in the process of creating Journey. I would outline seven facts about Fire Walk With Me that demonstrated why it was controversial and incredibly important. This format obviously lent itself to a standalone approach, so I separated it from the introductory moments of Part 4 and made sure to clearly title each section. I found a different piece of music from the Fire Walk With Me soundtrack to score each "fact" ("Don't Do Anything I Wouldn't Do" - a different passage than I'd used to introduce the film at the end of Part 3, "The Pine Float," "Questions in a World of Blue," "Laura's Dark Boogie," "Montage: Birds in Hell/Laura Palmer's Theme," "The Pink Room," and "Half Heart"); each track seemed to perfectly suit the mood of that particular observation. All in all, "7 Facts About Twin Peaks: Fire Walk With Me" worked as a kind of microcosm of the series as a whole, while honing in directly on the subject I was most passionate about: defending this work of art both on its own terms and as an integral part of the saga. I was thrilled when it became, very quickly, the most popular chapter of the work and before long my most popular creation ever. But the work was just beginning. A few days after ending 2014 with a bang, I released the official introduction to Part 4 and then...the last big pause of the series. For twelve days (it seems so much longer in retrospect!) I read and took extensive notes on editions of the Rig Veda, the Upanishads, and the Bhagavad Gita. I was especially taken with the Upanishads, finding a depth and clarity in these words which resonated deeply with me, bringing me back to a period ten years earlier when I had struggled with a sort of spiritual crisis and/or breakthrough. And through this immersion I felt I was also really reaching the soul of Fire Walk With Me, what existed beyond the mystery, beyond the trauma, as the Log Lady said "beyond the fire, though few know the meaning of the phrase." There's much more that could be said about this crucial juncture of Journey, but perhaps not here, not now. When I returned to work I was able to include several passages from the Upanishads at key moments, opening a two-way window which not only allowed the study to reach beyond Twin Peaks but to remind us of how much of the world was already present inside of it, like the pearl inside the oyster. The material - the film, the texts - seemed to resonate off one another like the spirits' vibrations near the end of Angelo Badalementi's masterful "Moving Through Time." Finally, I reached the endpoint: the train car that initiates the premise of Twin Peaks and closes the curtain on Fire Walk With Me. Here, I hesitated. For many months I had been developing the epiphany that struck during my first conversation with John Thorne: was Laura perhaps responsible for the angel that saves Ronette? What thrilled me about this idea was that it worked on so many different levels: Ronette was a parallel for Donna and both were parallels for different sides of Laura, plus Laura had saved Donna earlier in the film in a similar situation; there was a consistent impression in the film that spiritual visitations were motivated by internal psychological triggers, responding to what the human characters were feeling (or trying not to feel) rather than just intervening willy-nilly like gods; if Laura had to learn to love herself, what better metaphor than finding compassion for the character presented as her "dark side" - a compassion that also doubled as love for another, necessary to break her out of the enclosed world of Bob (that signature Twin Peaks duality, not two things opposed, but two things paradoxically conjoined). I could go on and on (and have); I really love the idea, and the process of slowly teasing out its implications only made me love it more. There was only one problem: I wasn't sure that the scene itself could bear this conclusion. Going back to the first time I watched Fire Walk With Me, I had seen its ultimate outlook on Laura's fate as nihilistic; many years and several viewings later, even accepting the angelic grace that greets her in the Red Room, I considered the train car sequence somewhat gratuitous, grimly necessary to a prequel but not consistent with the film's efforts to humanize and deepen Laura. That contrarian point of view voiced at the start of the chapter was not simply another's, it was my own and I felt this doubt acutely as I reached chapter 25. For several days, I couldn't work on it; one night, when I planned to put the whole thing together, I couldn't commit. I was particularly struck by a moment, after the angel, when Laura seemed to stare at a distressed Ronette with utter contempt almost as if she was siccing Leland/Bob on her as vengeance for getting an angel. Did this reveal the other reading as wishful thinking? Did it merely complicate it? Was I seeing something that wasn't there (as others I brought this up to suggested)? Ultimately, what I did was take a leap of faith. There was just enough in the existing material for me to believe that this reading could be true. I extensively rewrote the chapter, tightening the language and expanding some of the examples, and ended up creating what is my personal favorite chapter of Journey Through Twin Peaks. 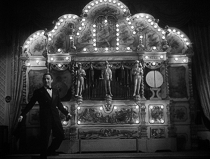 While building toward a grand synthesis of all the preceding material (love and fear, the dweller and the angel, the acceptance of duality, the opening of the door as a liberation from illusion, Laura's tragic victory as the antithesis to Cooper's heroic downfall), it also documents the complicated, fascinating production of the film, the divergence of script and screen, and the convergence of isolated elements within the movie. Centered on a few short minutes of screentime, this is the longest video of my entire analysis, and I don't think I could make it a second shorter. With the journey essentially completed, I gave myself several chapters for reflection, looking back not just over the beautiful mess of Twin Peaks but my own complicated path to reach this conclusion. By now I was giddy with audiovisual ideas and had a great time bringing them to life - placing the Log Lady inside the Inland Empire girl's TV set, toggling the relative sizes of The Missing Pieces and Fire Walk With Me to display their differences, pairing Sheryl Lee's poignant diary entry with the liberation of a Lynchian Lost Girl, and finally visiting the fictional universe of Twin Peaks as if it was a physical place, a location not just drawn according to the map of the in-world township but tracing the topography of its own narrative. There was something uniquely tangible and stirring about finding snapshots of the real Snoqualmie/North Bend area online and moving through these flat images as if I was walking through the towns myself. In a way this process was able to bring me closer to the essence of Twin Peaks than the series itself, which always seemed a gateway into something "beyond," never quite reachable. Would it feel this way to visit the location personally? Or would that be too literal? I had concluded my work on Journey Through Twin Peaks under the wintry skies and on the snowy grounds of New Hampshire, where I was visiting my family. Around February 2 or 3, I flew back to California where I was still living at the time, and, slightly disoriented by the time change and the sudden shift into pleasant, balmy weather, I put the final touches on my presentation, collecting all the videos in one place, everything as a piece, forming a conclusive whole. It had been a much longer, more convoluted and thrilling journey than I had ever expected when I picked up a book of essays almost a year earlier, but it was ending with a bittersweet farewell to what felt like an entire way of living as I worked on it, no matter what else was going on at the time. For four months or so, it was my world, but finally the journey was over. The third and final part of this memoir will be published after I create the final chapters of Journey Through Twin Peaks. See you then.